Deitas' 'Coco' dress is the sort of style that we can picture Kate Moss having worn to a red carpet event in the '90s. 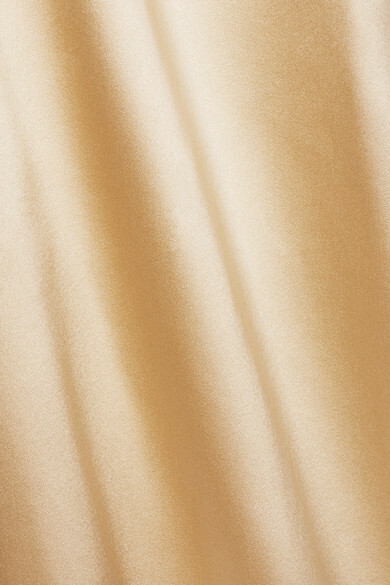 Made from smooth silk-charmeuse in a soft beige hue, this piece is suspended from barely-there straps and falls fluidly over the figure to an ankle-grazing length. The foldover straight neckline is perfect for showcasing a delicate necklace at your next evening event. Shown here with: Montunas Tote, The Row Sandals.